The internationally renowned research and polling company, J.D. Power, LLC, conducts annual surveys of U.S. car buyers to learn what motivates them to buy from one particular car dealer rather than another. The surveys reveal six most common reasons that car buyers choose not to buy from a car dealer. Surprisingly 49% of people who buy cars, buy from the first dealership they visit. This is a shocking statistic to me because it means that a lot of car buyers are not getting competitive prices from several dealers. This means that they overpaid for their vehicles. Of the 51% of those car buyers who shopped more than one car dealership before buying, 21% bought the same make car from another dealer than the first one they visited for six reasons. 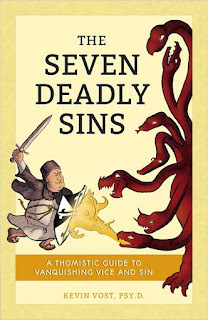 I’ve labeled these “The Six Deadly Sins of Car Salesmen”. (1) Thou shalt not be rude to thy customer. In schools for sales people, no matter what you’re selling, you’d think this would be full explained. How could a salesman expect to make a sale after insulting the prospective customer? But, apparently it happens often. One of the most common offenses is male chauvinist car salesmen referring to female customers as “honey”, “sweetie pie” or other demeaning terms, and even telling them to go home and come back with their husbands! (3) Thou shalt be knowledgeable about thy product. Today’s automobile is a highly complex, very sophisticated computerized machine. Buyers look to the sales person for answers to their questions. Buyers rightfully assume that, if the salesman can’t even show them how the navigation system works or tell them what the city gas mileage is, why they should believe he’s right about anything else he has been telling her. (4) Thou shalt not pressure thy customer. Can you believe that car salesmen still haven’t figured this one out yet? Who likes to be pressured? I often drive by car dealerships and see a half dozen or more sales people gathered together in a “pack”, often smoking cigarettes waiting for their “prey” to drive onto the lot. I wonder how many prospective car buyers just keep on driving after absorbing that fearful scene. Has a car salesman ever said to you, “This price is good only for today? If you wait until tomorrow, the price will go up”? How about, “I won’t give you my best price until you tell me you will buy the car today”? Or, “Shop around with the other dealers and get their prices, come back and see me, and I guarantee I’ll beat their prices”? (5) Thou shalt not ignore thy customer. My first reaction to this one is how a salesman could afford to ignore anybody that might be thinking about buying a car. The unfortunate answer is that a lot of car salesmen think they can tell just buy a person’s appearance if they can afford to buy a car. Boy is that stupid! I know many wealthy people who dress down because they like the comfort or because they don’t want to be seen as having a lot of money. That person that walks into a car showroom wearing a Tee shirt, flip flops, and jeans may well be able to buy the whole dealership. (6) Thou shalt quote thy customer a firm price. You may find this hard to believe, but this is true of 95+% of car sales people. In fact, a lot of car dealerships have a firm rule never to give a prospective customer a firm price unless that customer will buy now. A salesman can be fired for giving a customer a firm price and letting that customer leave the dealership. This is “old school” but still common and it’s very insulting to the customer. When I ask other car dealers why they continue this practice, they ask me “why should I give the customer a firm price so that he can go to my competitor and let him beat it by $100?” What these car dealers don’t understand is that this is what the free marketplace is all about…shopping and comparing products and prices so that you can make the best buying decision. If you deny your customer this inherent right, they will not buy from you. If you do give the customer a firm price, you show your trust and often times that customer will return to give you a 2nd chance to meet a better price. I recommend that you do your homework before you begin car shopping. NEVER BUY FROM THE FIRST DEALER THAT GIVES YOU A PRICE. The single best source of information about reliability, performance and safety on cars is Consumers Report. I also recommend that you use a company named True Car to find out what a good price is for the car you’ve chosen to buy. Go to www.TrueCar.com. Armed with information on what a good price is, you can begin your car shopping. The certified True Car dealers you will find in your market are required by True Car to give you an out-the-door price plus tax, tag, and title (government fees) only. They are contractually bound to include their dealer fees and dealer installed accessories. You don’t have to buy from a True Car dealer to get their price; you may want to buy from another dealer who will meet or beat that price. As all of my regular readers know, I’ve been battling the infamous “dealer fee” in Florida for many years. For my new readers, to bring you up to speed, the dealer fee is a generic term for hidden profit secretly added to the price of a car. Florida is, by far, the worst of all 50 states in taking advantage of car buyers with the dealer fee. There is no cap on the dealer fee as there is in all other states. It’s not uncommon to find dealers charging dealer fees over $2,000. There’s no specific name for the dealer fee, allowing dealers to disguise it as an official government tax or fee. “Electronic Filing Fee” and “Tag Agency Fee” are just two examples. Dana Manner is a highly qualified and experienced consumer advocate attorney in Miami. He has appeared on my weekly radio show [Earl Stewart on Cars Tuesdays 4-6 PM; www.StreamEarlOnCars.com] three times. Last February he won a judgement against Miami Motor Sports, LLC in Miami for a violation of the Florida Deceptive and Unfair Trade Practices Act FDUTPA. This dealer added his dealer fee to the advertised price of a car he sold to Daniel Bell. The case was published in the Florida Law Weekly Supplement and it is the first of its kind reported in Florida. A lawyer reading this will understand why publishing this court decision is so important and historic. “Case law” is looked to by judges in deciding a lawsuit and this is the first case law finding for the car buyer against a car dealer for adding the dealer fee to the advertised price. You can read this case law by clicking on www.DealerFeeillegal.com. Consumer law---Florida Deceptive and Unfair ‘Trade Practices Act---Vehicle sale---Dealer committed per se violation of FDUTPA by adding upcharge to advertised cash price of vehicle sold to plaintiff—Dealer and financial service company that is holder of dealer’s written contract are liable to plaintiff for actual damages and attorney’s fees---Where notice sent by financial service company prior to disposition of collateral failed to satisfy Uniform Commercial Code Article 9, plaintiff is entitled to statutory damages equal to finance charge plus 10% of principal amount. What this court decision means to you, a Florida resident, is that it makes it much easier for you to demand an out-the-door price which includes all dealer fees. If you respond to any advertisement online, TV, radio, or print, the dealer fee or fees should all be included in that price. 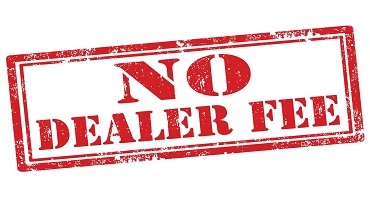 Dealers “disclose” their dealer fee in the fine print in different ways and some don’t disclose them at all. Some disclose it by saying “price excludes all fees”. This lumps together government fees (tag-tax-title) with the dealer fees, clearly illegal. Other dealers disclosure says “plus dealer fee”, but it doesn’t tell you the amount of the dealer fee, much less include it…thus it’s not legal. Some dealers disclose the amount of their dealer fee in the fine print, but that does not abide by the law which says it must be included in the price. This is not even to mention that the Federal Trade Commission (FTC) requires that anything that increases the advertised price must be “clearly and conspicuously displayed adjacent to that price”. Perhaps the most common dealer fee deception is advertising just one car at the price which includes the dealer fees. For example, a Ford dealer might have 50 Ford F150 trucks of the exact same year, model, accessories and identical MSRP’s. He advertises this F150, including this disclosure in the fine print…”#A62932”. No one except the dealer knows what that number means; it’s the “stock number” of one of those identical Ford F150 trucks. He “might” sell you that exact truck at the advertised price, but if you buy any one of the other 49 identical trucks, you will have to pay extra for his dealer fees. Typically, when you ask the salesman to see the advertised vehicle, “it’s just been sold” or he “can’t find it”. But, the salesman says, “Not to worry…we have 49 more F150’s that are identical.” Yes, they are identical, but now the dealer can legally add his dealer fee to the advertised price. Another common dealer fee deception is the multiple dealer fee charges using different names. Remember that the term “dealer fee” is generic. Many dealers don’t call their extra profit charge a dealer fee and, if they do, they often charge other dealer fees by a different name. Electronic filing fee, e-filing fee, doc fee, Dealer Services fee, documentary fee, processing fee, tag agency fee, administrative fee, notary fee, notary and closing fee, dealer prep fee, freight fee, and document processing fee are just a few. Some dealers will include only one of their dealer fees in the advertised price, the one that they named “dealer fee”. They can claim that they abided by the law because they did include their “dealer fee” in the advertised price. But the truth is that their “electronic filing fee” or “tag agency fee” is added to the price and they are also dealer fees under Florida law. Remember that the powerful thing about Florida’s Deceptive and Unfair Trade Practices Act (FDUTPA) is that it awards attorney’s fee to you if you win the case. Too many consumers hesitate to sue over a relatively small sum like a $999.95 dealer fee on a $40,000 vehicle. They’re afraid that their legal fees will cost them more than the amount they can recover. But under the FDUTPA, you can recover all of your attorney’s fees plus the $999.95 dealer fee. The dealer you’re suing knows this, and he assesses his downside as many thousands of dollars, not just $999.95…plus his own attorney’s fees. Most smart dealers will refund his dealer fee money, his ill-gotten gains, immediately upon receiving the initial demand letter from your attorney. Most attorneys will conference with you to assess your chances of winning at no charge. With a winning case, you pay him nothing and get back the illegally charged dealer fees. It’s a win-win for you and a lose-lose for the car dealer. Never Buy A Tire Without Knowing the Date of Manufacture! I’ll bet you never buy milk or eggs without checking the expiration date. In fact, you exercise this same caution with all food and certainly your medication. The Food and Drug Administration (FDA) mandates that food and drugs have the expiration date prominently displayed on the labels before a manufacturer or retailer can legally offer food and drugs for sale. Would you be shocked to learn that the National Highway Traffic Safety Association (NHTSA) does not mandate that tire manufacturers and retailers do the same? Consensus has it that tires manufactured six or more years ago can be unsafe. The reason for this is that the rubber degrades with age from oxidation. Sometimes you can see this condition from cracking on the outside of the tire. But oxidation can also occur on the inside of your tire. In fact, because your tires are inflated under pressure, there is a lot more oxygen (which causes the oxidation) per square inch on the inside. There are other conditions that affect the speed of oxidation such as temperature, humidity, road conditions, and even your driving habits. You should have your tires inspected, or do it yourself, every thirty days. When the inflation psi is being checked, you should also inspect for uneven wear, road hazard damage, and “cracking”. Most people think that when they buy a set of “brand new” tires, they’re perfectly safe. But, if those brand new tires were manufactured a decade ago, they’re probably unsafe. Most tire retailers will not tell you the date of manufacture of the tires you just bought. They may not know themselves and, if they do know, they’re under no obligation to tell you. Just like any merchandise, all types and sizes of tires don’t sell at the same rate. “Slow movers” can sit on the shelves of tire stores or in warehouses for years. I don’t know this for a fact, but I’m betting that some tire manufacturers sell older tires to some retailers at greatly discounted prices. This is typical behavior for all manufacturers and retailers. You can buy expensive brands at discounts in outlet stores like Loehmann’s and TJ Max and there are even shopping malls selling only merchandise the manufacturer chooses to divert from their regular retail stores. My recommendation is that you be especially careful when you buy a tire that has a “too good to be true” discount. Look at the Department of Transportation (DOT) date code. 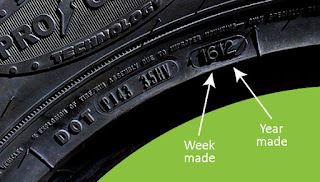 A tire with a DOT code of 1109 was made in the 11th week of 2009. Tires with a three-digit code were made prior to 2000 and are trickier to decode. The first two digits still tell you the week, but the third digit tells you the year in the decade that it was created. The hard part is knowing what decade that was! Dr. Rosekind, I respectfully submit that your primary duty is to do whatever you can in your power to ensure the safety of American motorists. I suggest that you study the correlation between auto accidents caused by tire blowouts and the age from the date of manufacture of those tires. If you see a correlation, establish a legally enforced time limit on the selling of tires beyond their date of manufacture. Enforce that time limit with heavy fines and/or imprisonment. Furthermore, change the DOT date stamp from its current virtually indecipherable “code” to something like TIRE EXPIRATION DATE 12-11-16. This currently appears on all tires as “5216”. WHAT? I also suggest that you contact your US Senator and Congressman. This should be a bipartisan issue and the only obstacle I can see to getting this law approved by Congress would be tire manufacturer and retail lobbyists. Congress passed a law a few years ago that really “shook up” publicly owned companies. It’s called Sarbanes-Oxley, named after the Congressmen who sponsored the bill. Basically this law says that the CEO and other high echelon managers of a public owned company cannot get off the hook from wrong doings because they claim they didn't know what their employees were doing. I believe the same rules should apply to all businesses, even if their stock is not publicly held. The boss should always be held accountable for the actions of his employees and this should apply especially to car dealerships. Most of the employees that the customer comes into contact with in a car dealership are paid on commission. Those employees get a percentage of the profit that the company makes on the transaction. Car sales people, service sales people (also called service advisors or assistant service managers), parts sales people, and the mechanical technicians who work on your car are mostly all paid on commission. This method of pay tilts the relationship between the customer and employee in somewhat of an adversarial manner. The employee wants the price to be as high as possible but the customer wants it to be low. In a car dealership that has talented, fully engaged, and ethical management, this potentially adversarial relationship is kept in a fair balance. Without the oversight of upper and middle management and careful hiring practices, some employees will exploit a customer to increase his commission. What brought the subject of this column to mind was a call I received from a 78 year old widow from Ft. Pierce. She called to thank me for writing my column and to tell me that she wished she had read some of my columns before she bought her used Mazda. This was the first car she had bought on her own. Her husband had always taken on this responsibility. She paid the dealership a huge profit on her purchase. She was sold a maintenance package that she believed cost only $25 but it really was $2,500. She was rushed to sign the papers at night because the dealership was closing. In the morning, when she realized the mistake, she drove back to the dealership and asked to back out the sale but was told it was too late. She was told she had signed all the papers and that they had already sold her trade-in even though she had not given them the title. When she asked to speak to the General Manager, three different employees identified themselves as the General Manager. I get a lot of sad calls like this. The owner of that dealership should know what’s going on. I’m giving him the benefit of the doubt by saying that he doesn’t know because if he does know it’s even worse. The owner should look at the big picture and the long term view of his business. You can take advantage of customers and benefit in the short run, but you eventually “pay the piper” when your bad reputation spreads far enough. Most of the bad things I hear about car dealers from their customers are not illegal things. They are simply unethical and not the way one human being should treat another. Refusing to refund the money of an elderly, widow after she realized that she had been taken advantage of is not illegal, but it sure “stinks”. Jim Press was the top executive for Toyota over all of North America and he was also the only non-Japanese to occupy a place on Toyota’s board of directors. 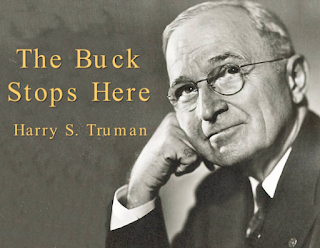 He was quoted in the book, The Toyota Way by Jeffrey Liker, as saying “It’s what you do for a customer when you don’t owe him anything that is the true measure of character. It’s like sticking up for somebody who can’t defend himself”. I really like this quote and I have it engraved on a plaque which I give out each month to the employee who wins the “Above and Beyond Award”. This award goes to our employee who does something for her customer above and beyond what the customer would have expected. If you have a bad dealing with your car dealership, do your best to contact the owner. This is impossible with publicly held dealerships like AutoNation and United Auto Group, but you should be able to talk to their General Managers. If it’s privately owned dealership, don’t give up until you see the owner.